█ Simple to fit - onto any towball in seconds. Clam shell over ball then mount the rak. █ A range of solutions - from luggage or bike carriers to winches and vices to fit your needs exactly. █ Modular - Unique to bak-rak .... fix your loads vertically or horizontally to create the carriers you need. █ Three families of racks to cover any requirement with many parts interchangeable between the families. █Change the configuration as you need. A luggage carrier one day a bike or ski carrier next day. █ There is available an alternative 'towing mount' for Flanged Towballs that mounts to one side of the ball to allow towing. Particularly relevant for the wheel rack. No extra cost if ordered as a replacement for the bak-rak mount. 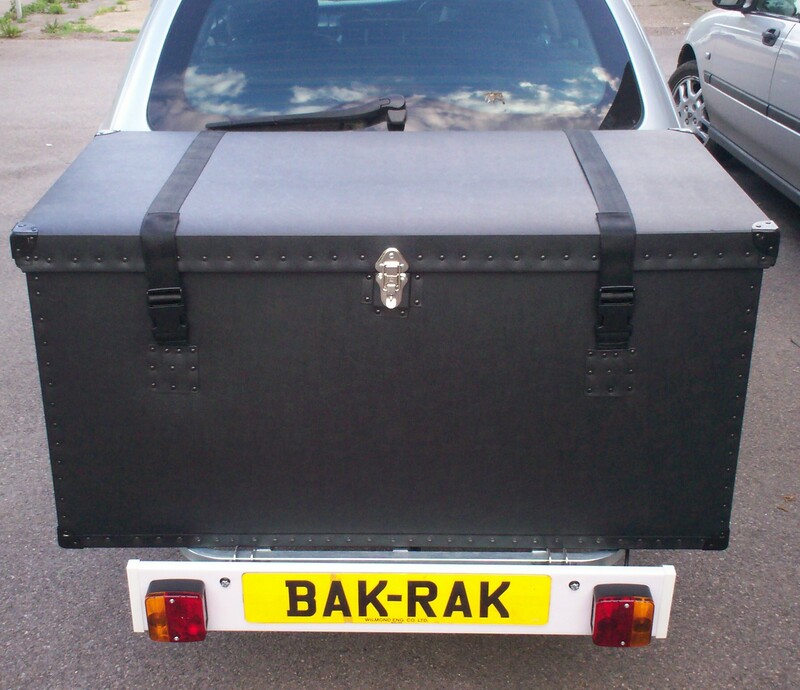 Specify when ordering - we will supply the bak-rak mount without specific instructions.. The heavy-duty modular carrier for luggage rubbish, rubble,bikes,bags,mobility-scooter, etc. Tilts up to allow storage when empty or down to open a back door..
Our incredibly successful base-rak rated at up to 100Kg (dependent on vehicle) has square cross-beams on the same design robust outer frame. The new version offers an angle adjustment to compensate for tilted towbars. The incredibly popular stainless steel version of the base-rak Rated at up to 120Kg (dependent on vehicle) has square cross-beams on the same design robust outer frame. A robust plastic box or tray mounted on your tow-ball. Tilts down to allow access to the boot. Unbolts in seconds. 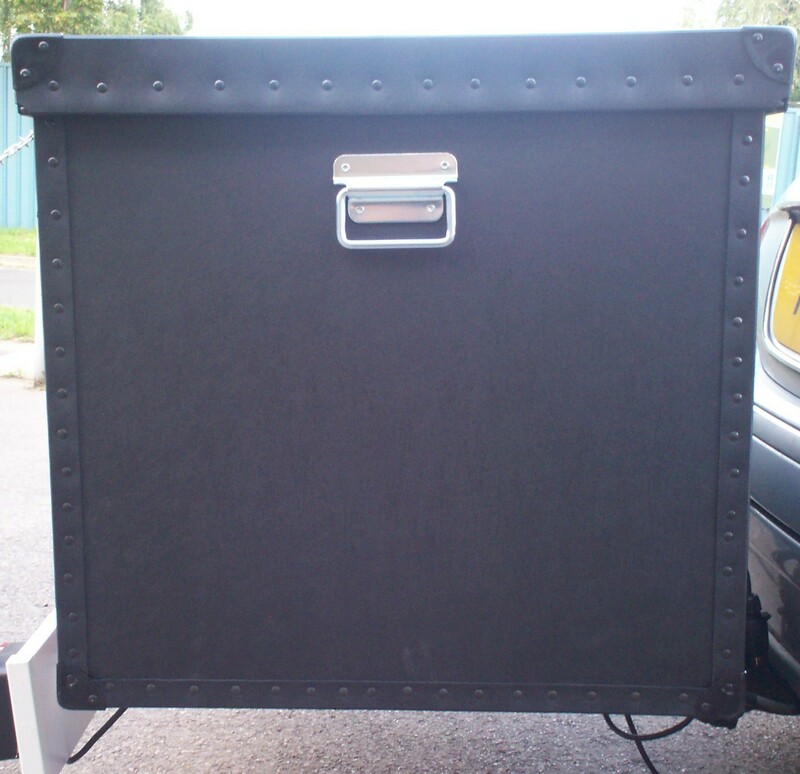 Optional Tumble mount allows the box or tray to tumble away from the car to allow access to boot or back door (£35). Use tilt and tumble for extreme clearance. 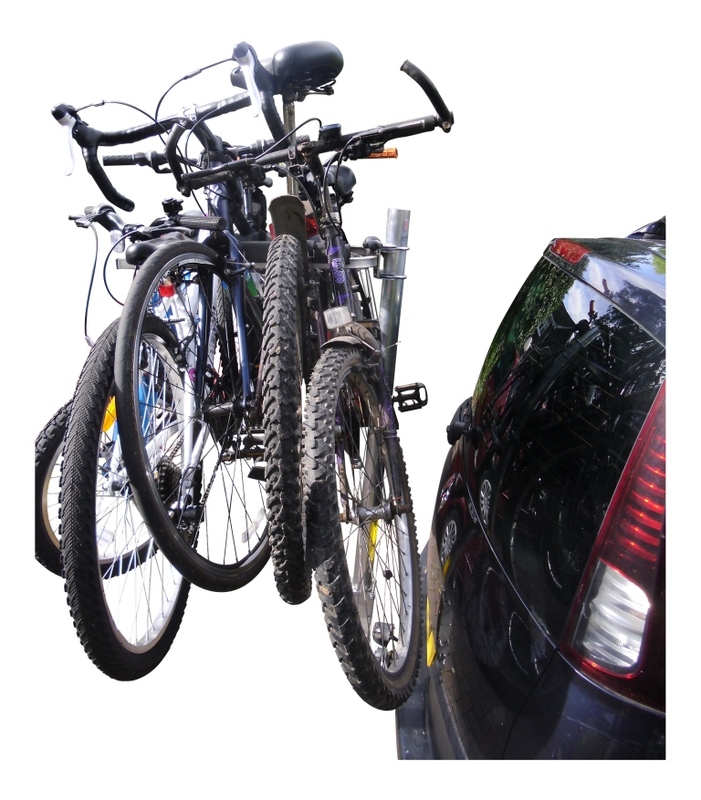 Two bike racks @£40 can also be fixed to the tumble mount. Add 2 to cart . A converter that allows you to mount old flange fit accessories onto a modern swan-neck towball. Use to fit a Dave Cooper MC rack. 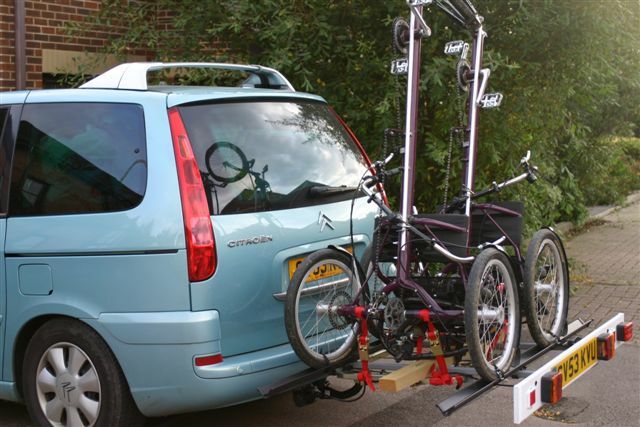 The tow-ball fitting 4 or 5-bike rack that can double as a load carrier. 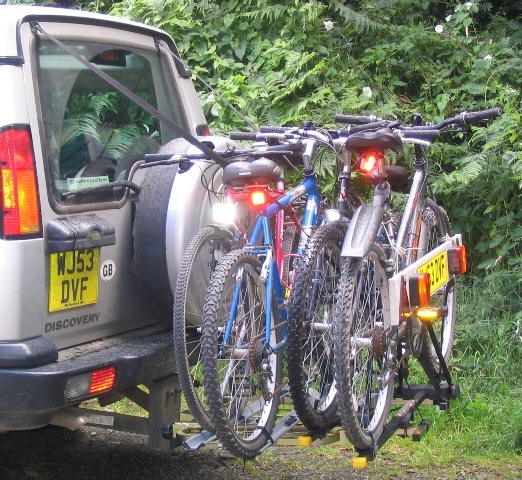 Fits any tow-ball, swan-neck or flange, on any vehicle (except 4x4 with door mounted spare wheel). With adjustment to get the tube exactly vertical. Intended for four adult bikes or three adult bikes and two kids bikes. Fantastic new technology in UK allows laser-cutting in tubes that enables us to offer this unit at such a fantastic price. Slots together and stores down inside the main tube. REVOLUTIONARY system allows the bike arms to be reassembled at low level to carry our (or your own) tray (1000X550X150) or your own box to carry luggage. You can also specify our plastic box. Tilts down to the ground for boot access, folds down for no-bike travel. 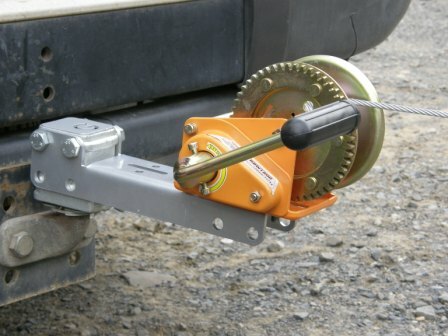 Available with a flange tow bracket mount to fit alongside the towball so can be used while towing. 4ft X 2ft X 2ft (1150x590x600) 450 litres. Made of the toughest plastic we could find (they use it to protect digger windows from vandals) with straps and a lockable catch - both secure and waterproof. It has a deep sided removable lid that can accommodate extra volume. Made to our own design - you won't find a tougher or bigger or better value box. This tilts down to give access to the boot area. 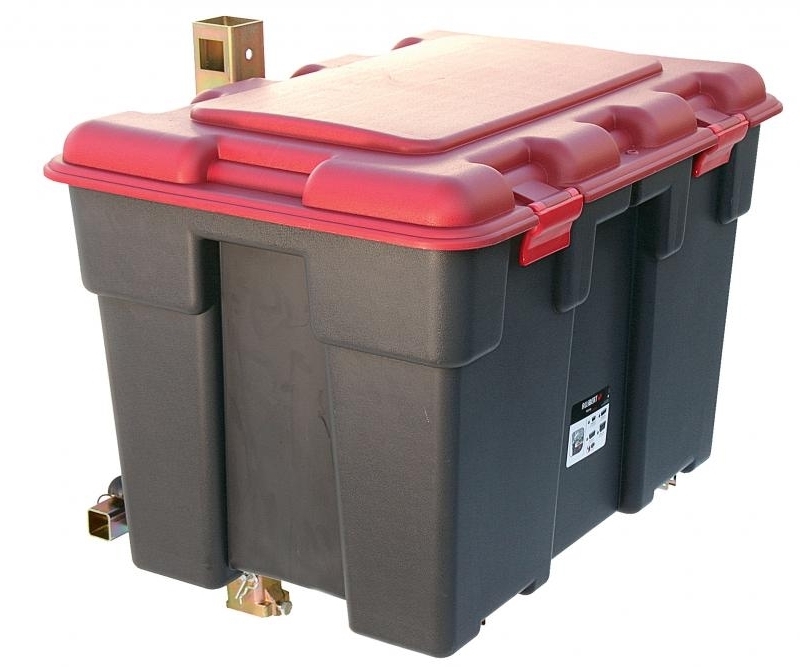 Fits to G3 base-rak with a carrying weight limit of 100kg. (or G4 = 120Kg). 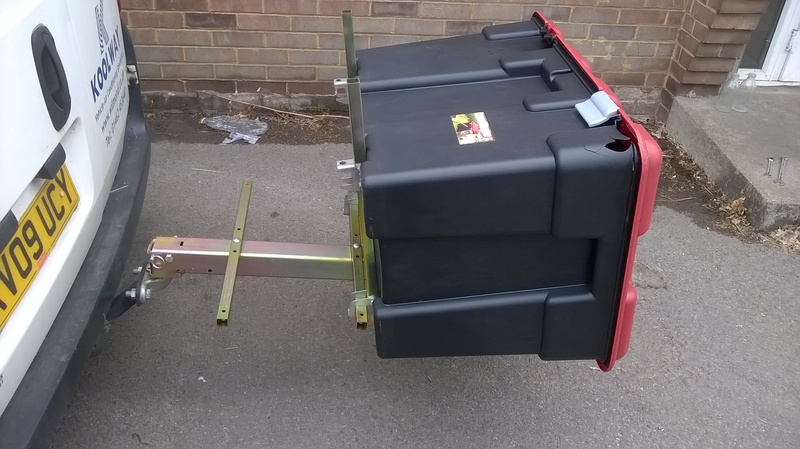 The box fits onto our G3/4 base-rak or onto the box-rak frame with 80kg carrying capability. 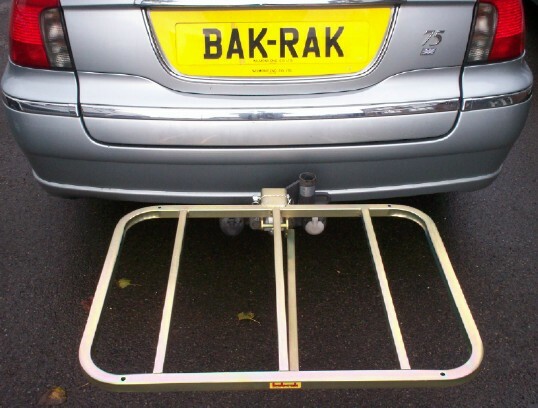 Specify boxrak frame with tumble mount if you need to access the back doors of a campervan. Bigger tougher and more capable than any competitors. A spare wheel carrier that fits on any standard tow-ball. Tilts for entry to boot. Any normal size of wheel from minis to mobile homes. Ideal for modern cars with no spare or gas conversions with no wheel well. 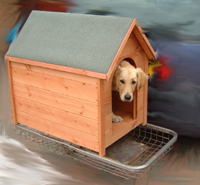 Folds down into itself so easy to store in the boot. Adjusts for any size of wheel (up to 245 tread width). 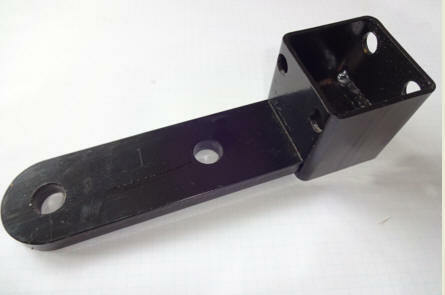 Available with a flange tow bracket mount to fit alongside the towball so can be used while towing. Many modern cars come without spare wheels or can lose the spare-wheel well when converted for gas. Without the security of a spare-wheel then a simple puncture can become a nightmare of waits for a recovery vehicle then local hunting to find an appropriate tyre. Particularly at weekends or in the middle of the night this can make a disaster of any journey. With a bak-rak Wheel-rak and a spare wheel on the towball a solution is available. Use it vertical, horizontal or upside down to mount anything onto your towball, hand winch, vice, flagpole, radio-mast, bag, case, tray or box. No weight limit specified as it is totally down to how it is used. When we use the web we tend to look for alternative ways of doing a job. Because we believe bak-rak offers far and away the best universal carrier we are making your hunt easier by pointing you to our competitors. Shelf-type skirak to take skis, boots and kit. Add any number of shelves with 4 or 5 skis to a shelf. 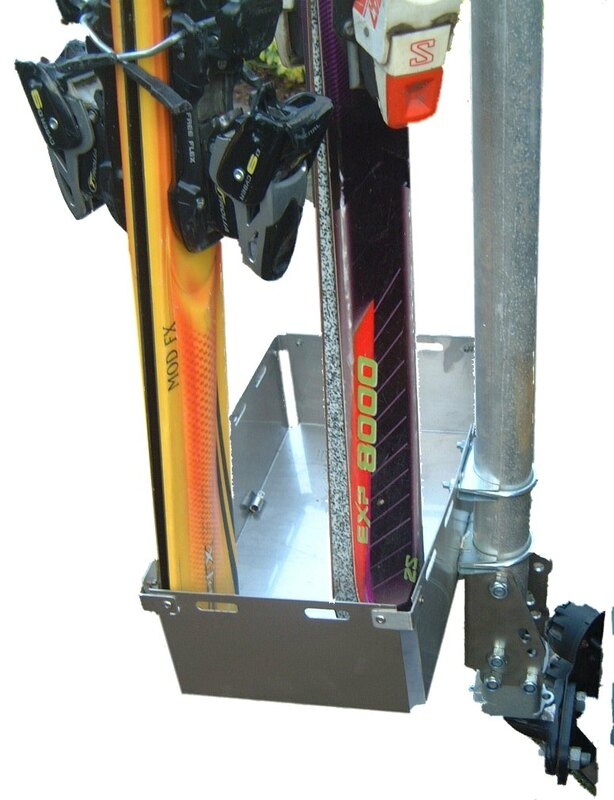 Or pile lots of skis onto a shelf and tie them down with a strap and cable-lock.. Basic rak comes with a single shelf. Fit up to 4 shelves onto the pole. 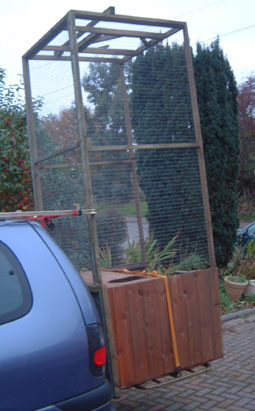 Fit the shelf with an 745mm aluminium box - or even fit two boxes to an extended pole. No real limits to the number of skis or boots to carry. 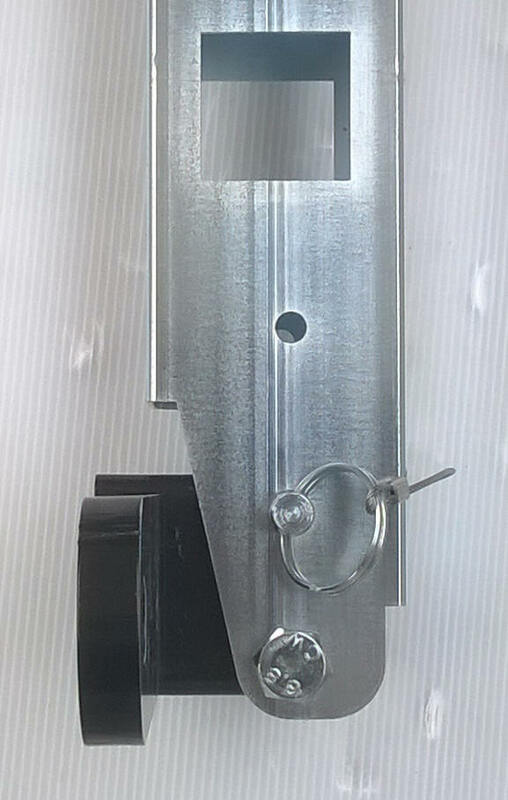 A wall mounting system that will support bak-rak, maxxraxx and witter bike racks. The bracket screws onto the wall and onto it you can mount your own bike rack to store the bikes. If you have no bike rack the bak-rak bike mount can come with the wall bracket allowing the mounting on the wall of up to five bikes. The arms can be cut back if you need less bikes and more space. A high quality tow-ball mounted hand winch. 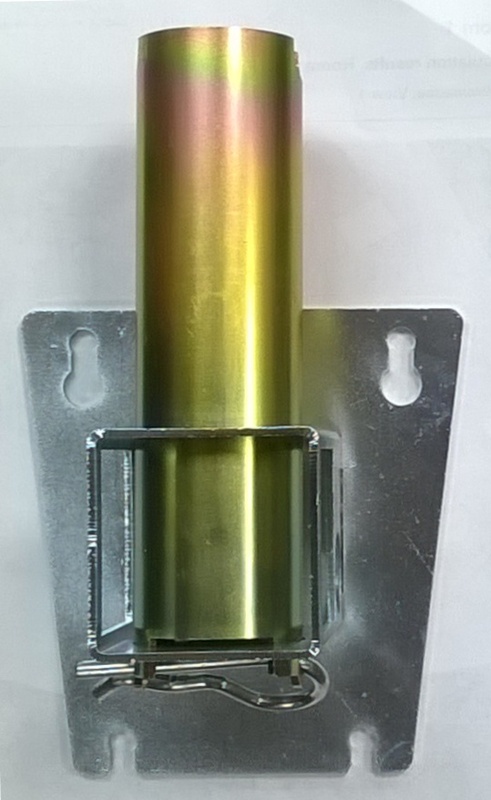 Available as a Universal 500Kg unit for serious pulling work. Complete kit includes everything you need - winch, drill converter, 15M cable, hook and mountings. 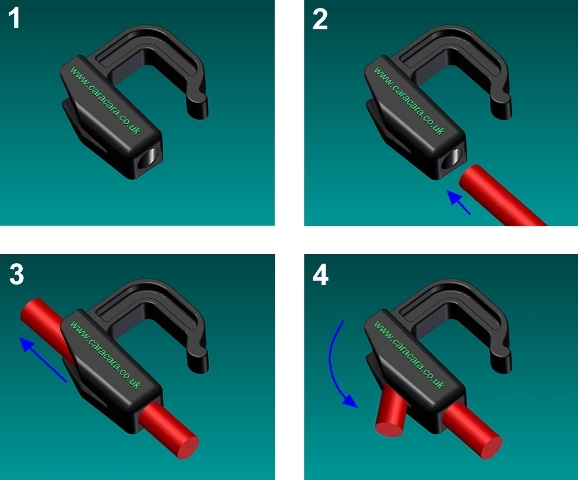 Clever plastic clips lock onto bungee or rope for quick & flexible attachment. Four fitments, plate, joiner, hook and clipper. 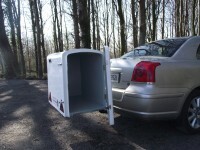 A complete carrying solution for anything to fit vertically behind the car. 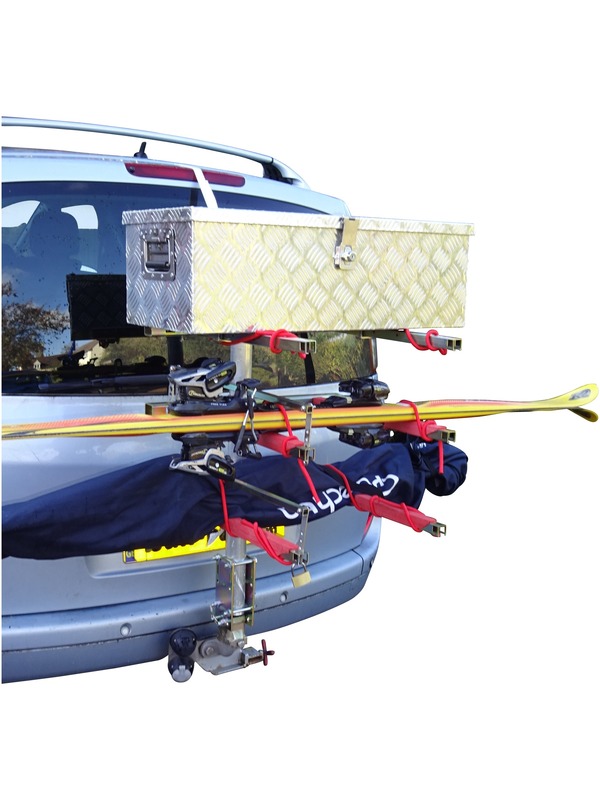 A vertical high strength aluminium pole mounted with stainless brackets to the bak-rak mount allows you to carry bikes, skis, windsurfers, luggage or your spare wheel. Any combination only limited by the capabilities of your tow ball. Using the best materials - stainless steel and high strength aluminium. Light weight and heavy-duty. 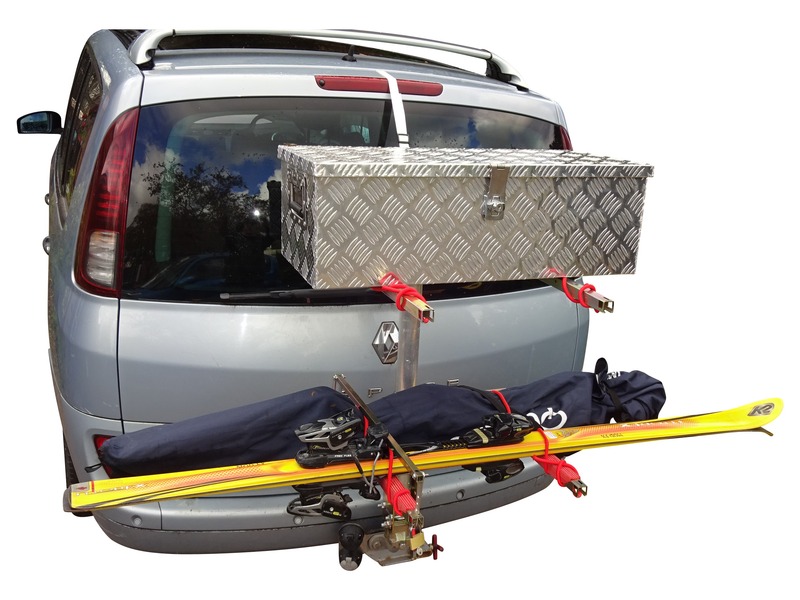 Make up your own set of parts to carry any combination of skis, bikes, surfboards, luggage etc.